The U.S. election stands at a crucial time where the future for ourselves, our children, and grandchildren are at risk. The election of Bolsonaro in Brazil highlights the importance of elections worldwide. 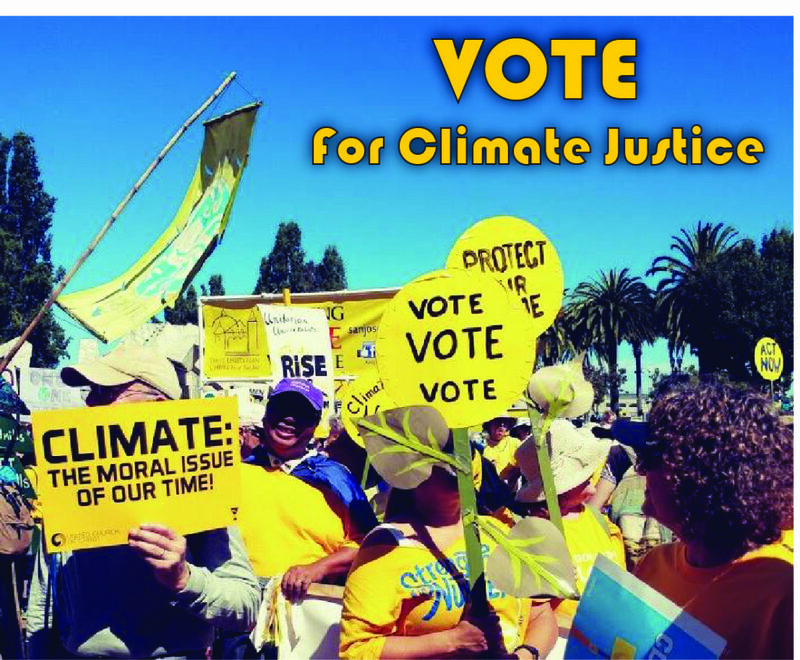 We in the U.S. must vote on Tuesday for leaders that will not only act as a counter-balance to those currently in power, but for leaders in the fight for climate justice. Scientists have calculated that since we have already reached a 1 degree Celsius increase in average world temperature, an increase of another one degree would put many coastal cities underwater, cause the loss of sea coral and bring severe, irreparable damages such as the starvation of millions of people. The current administration has unraveled many of the protections to the environment that had been put into place. Only with coherent environmental policies can we stop the downward spiral and hope to reverse some of the damage that has been done. We must vote for leaders that will act as a counter-balance to those currently in power. According to the Environmental Voter Project (EVP) there are 10 to 15 million so-called “super-environmentalists” who are registered to vote in this country but generally don’t. The good news is there are some great candidates out there, let us VOTE them into power.